Le Metier de Beaute Hydra-Plump Lip Serum, 0.5 oz. 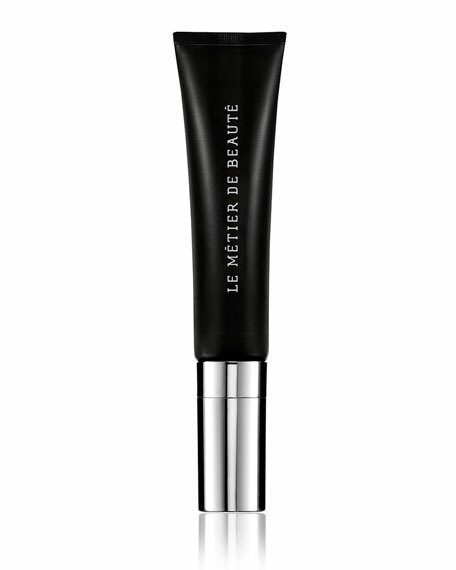 Le Metier de BeauteHydra-Plump Lip Serum, 0.5 oz. Hydra-Plump Lip Serum repairs and reduces the appearance of fine lines and wrinkles on the lip area. This non-greasy, non-waxy, long lasting formula imparts a silky, smooth consistency that easily penetrates lips with moisturizing benefits. Lips will instantly appear fuller, smoother and more youthful. Sodium Hyaluronate, Calendula Oil, Shea Butter and Jojoboa Oil help improve hydration, emolliency and smoothness for a youthful look. These key ingredients also calm redness and irritation due to dry skin, nourishing the fine skin of the lips. How To Use: Apply a generous amount over the entire lip area. Can be worn alone or over any lip color. For in-store inquiries, use sku #1812843.